An SQL join clause - corresponding to a join operation in relational algebra - combines columns from one or more tables in a relational database. It creates a set that can be saved as a table or used as it is.... 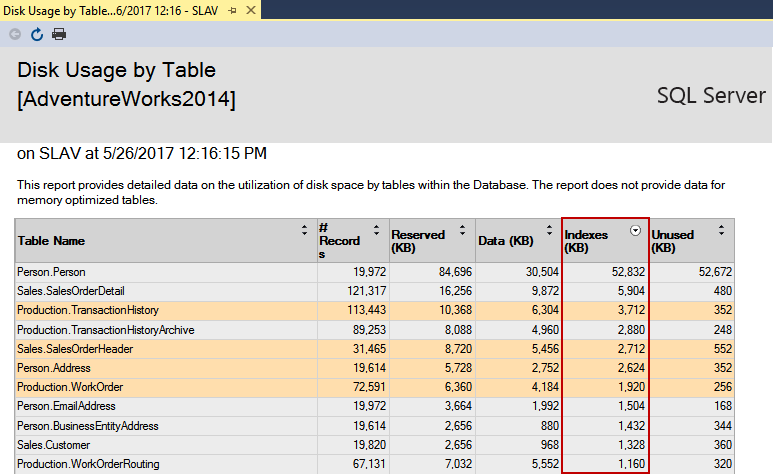 Using SQL Server Management Studio To view the foreign key attributes of a relationship in a specific table Open the Table Designer for the table containing the foreign key you want to view, right-click in the Table Designer, and choose Relationships from the shortcut menu. INNER JOIN only returns rows in the tables that have matches found on the join column. Practice #1: Join two tables. Products table in Northwind database only stores SupplierID which is a foreign key pointing back to SupplierID column in suppliers table.... The thing is that although I am able to joint the two tables (and see the results I want in a SQL Query like query builder) in the datagridview only appears the columns related to table "Clientes", I need to choose also the columns from table "medioContacto" in order that the datagridview presents the data I need with the query presented above. 23/06/2005�� I am tying to build a COMMAND that joins two tables from two different databases, one database is stored in SQL Server, the other one is stored in MS Access, the problem is I can not make the SQL statement in one command, since the connections are different.... Hi I have a SQL Table that contains two nvarchar columns called Article and Site . I have to create a primary Key that contains both of these. How would I do this in SQL Server Management Studio I have to create a primary Key that contains both of these. The two solutions share a common goal: providing to the join function in DAX two tables that have one or more columns with the same data lineage. Such column(s) will be used to join the two tables and produce the result. Now that I have my different datasources in PowerApps I looked up how to inner join data from 2 different SQL tables expecting I could use inner joins just like in SQL. However at the time of writing you cannot use inner joins at all! Hopefully this feature will come very soon. The most important and frequently used of the joins is the INNER JOIN. They are also referred to as an EQUIJOIN. The INNER JOIN creates a new result table by combining column values of two tables (table1 and table2) based upon the join-predicate.